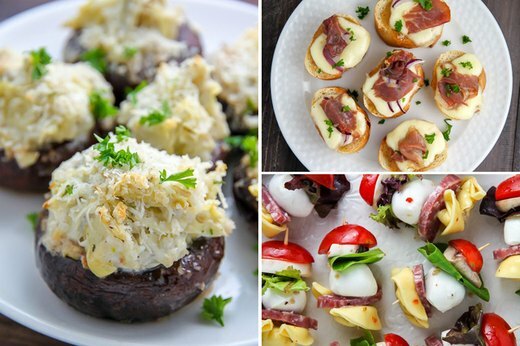 Get your party started on the right foot with these bite-sized appetizers and finger foods. Whether you’re preparing for a casual get-together or are in need of some impressive hors d’oeuvres for your next soiree, these 13 dishes will be sure to satisfy your guests before they dive into the main course. Artichoke dip stuffed mushrooms are a great appetizer to kick off any party. 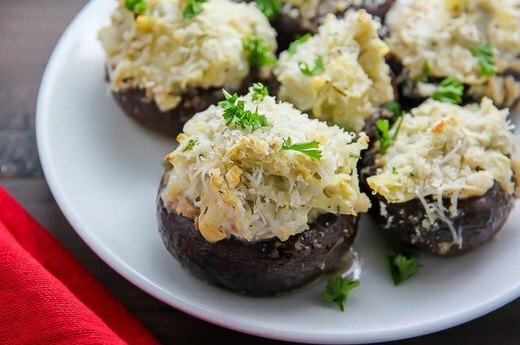 The mixture of marinated artichoke hearts, Asiago cheese and a number of spices stuffed into portobello mushrooms pack a mouthful of flavor in every bite. Add some hops and a little spice to your classic nacho dip with this jalapeno popper beer cheese dip recipe. 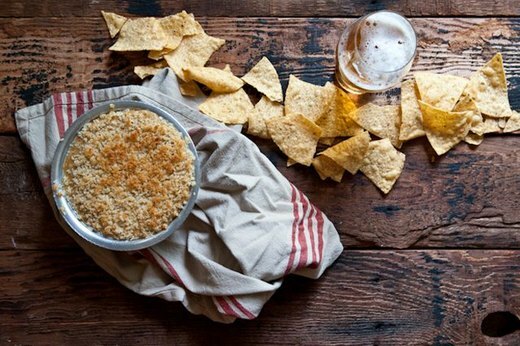 The unique blend of jalapenos, cheddar cheese and an IPA are what make this dip hard to resist. 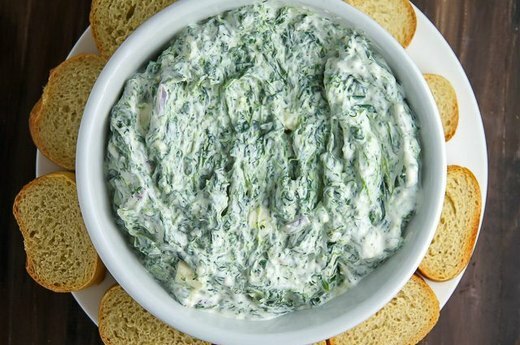 For a Mediterranean-inspired appetizer, whip up a batch of this creamy Greek yogurt spinach dip. The thick Greek yogurt mixed with fresh herbs and flavorful ingredients are what make this dish incredibly easy to snack on. 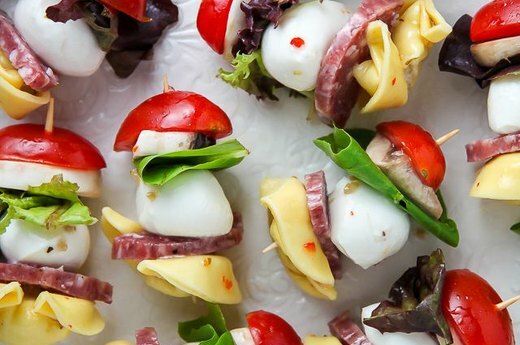 Italian antipasti skewers are as easy to make as they are delicious, and add color to any appetizer spread. All you need are toothpicks and a mix of ingredients including mozzarella balls, tortellini, salami, mushrooms and more to prepare this crowd-pleasing appetizer. 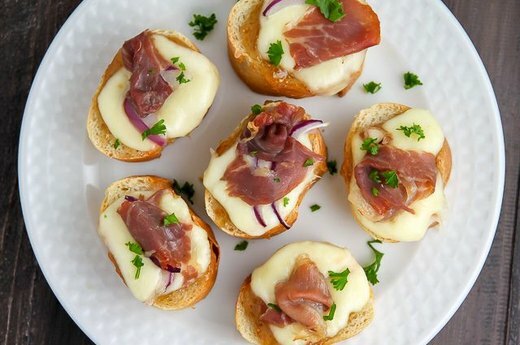 If you’re looking for a party food that looks impressive and takes little effort to prepare, then this fig and prosciutto crostini recipe fits the bill. The mix of sweet fig preserves and salty prosciutto topped on a toasted baguette create a delectable finger food. 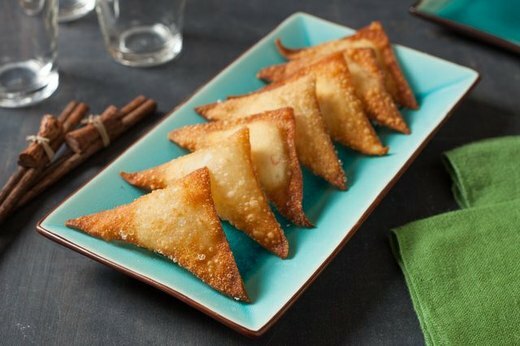 Pop out the deep fryer and make a sizzling batch of crunchy cream cheese wontons. You can also season the cheese filling to your liking for an even more flavorful finger food. 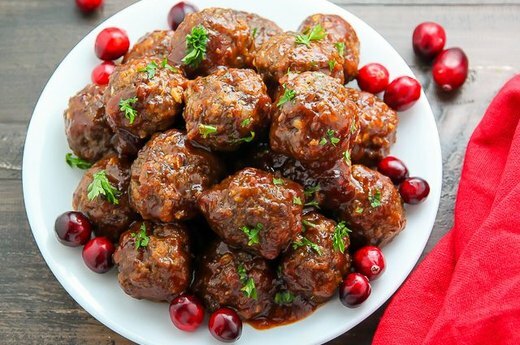 Succulent cranberry meatballs are a great starter to any meal. The baked meatballs are coated with a sweet and tart cranberry sauce that will leave guests craving more. 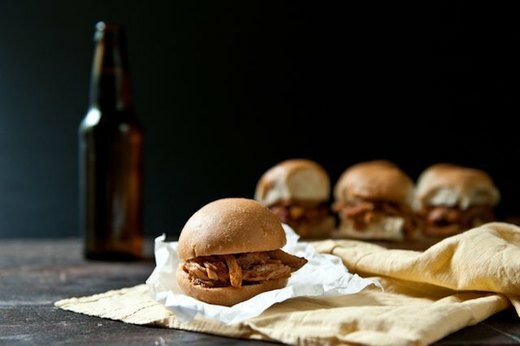 Beer and sliders make a great combo -- so it’s no wonder these chipotle beer chicken sliders work so well. With the help of a slow cooker, you can have smoky, tender meat ready to serve in as little as four hours. 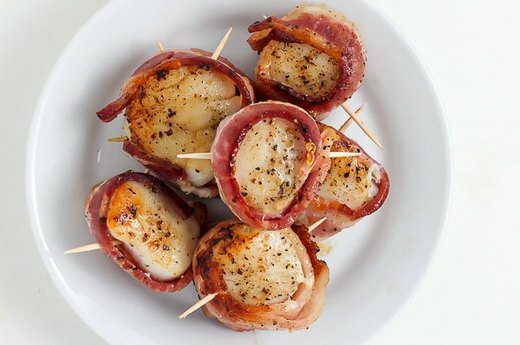 Fire up the grill to prepare a serving of charred bacon wrapped scallops. This finger food is simple to assemble and makes terrific individual portion sizes when served on toothpicks. 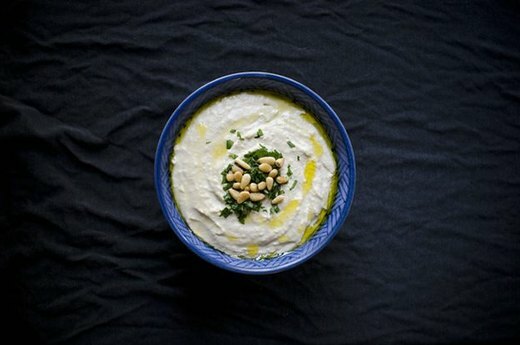 Treat your guests to this irresistible, six-ingredient white bean hummus. Pair this dip with pita chips for a lip-smacking delicious snack to munch on. 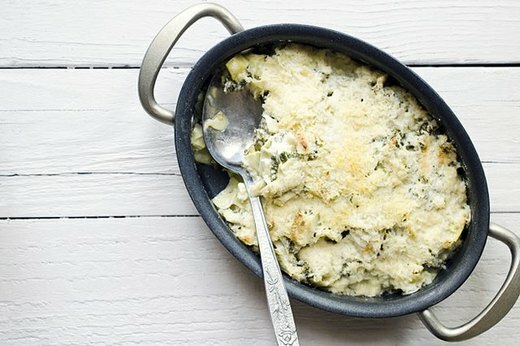 This cheesy kale and artichoke dip is the perfect baked appetizer to share. Use steamed kale for a unique flavor that seamlessly complements the dish. 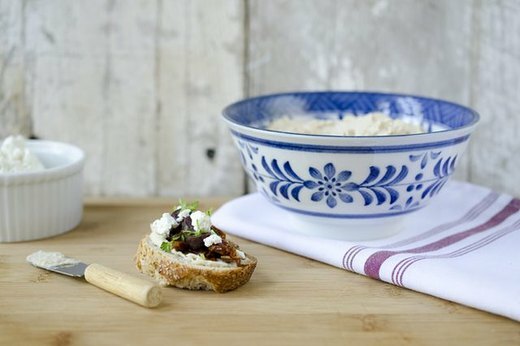 For a gourmet-looking appetizer that takes just minutes to assemble, this Mediterranean crostini is the right choice. The bold flavors from the sun-dried tomatoes and feta cheese make these bite-sized snacks hard to put down. 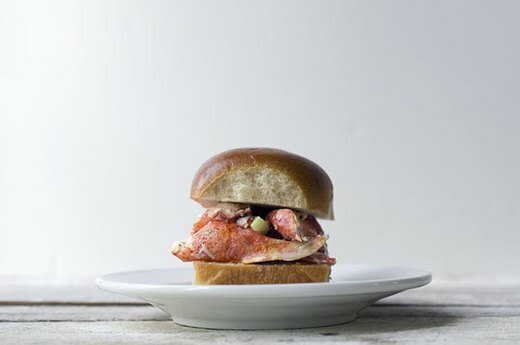 Add a touch of class to any casual get-together with lobster sliders. Sliders served on buttered brioche buns are a hit at any party, but adding steamed lobster takes these appetizers to the next level.